One month from today, I will be on a plane en route to WINE COUNTRY VACATION 2016!!!! That being said, in preparation of this upcoming slightly indulgent (okay, indulgent.) California vacation, I've been scaling it back on the booze (WAAHHHHHHH) and eating healthier foods. 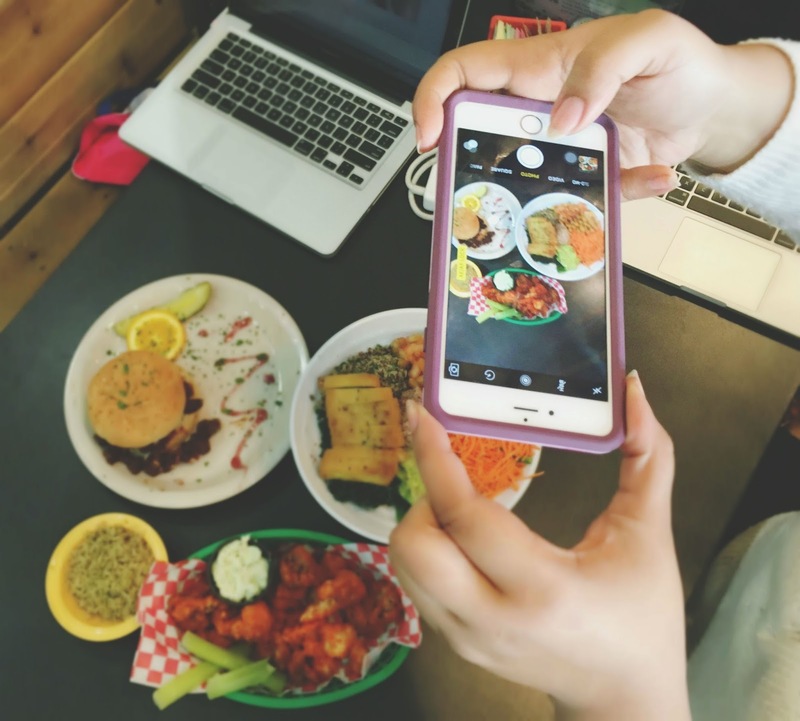 Fortunately, Houston has a plethora of options when it comes to restaurants that serve good-for-you eats! 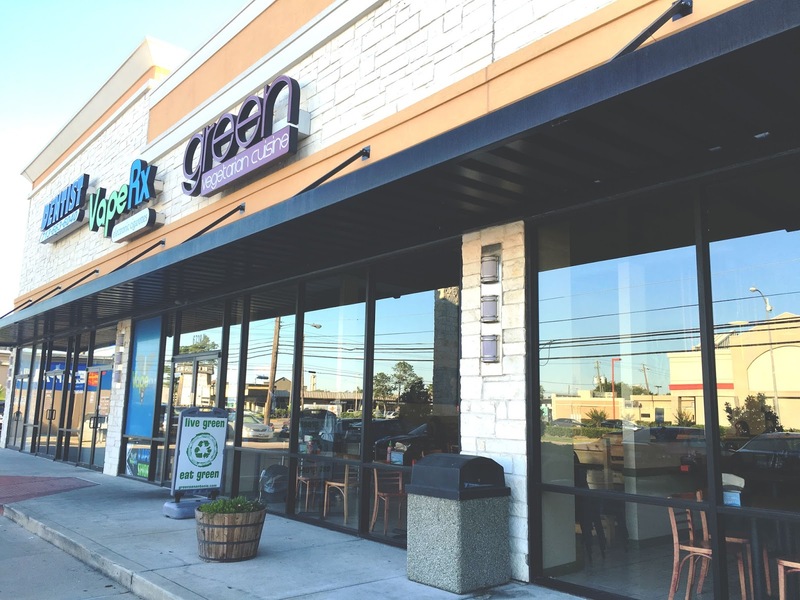 One such restaurant is Green Vegetarian Cuisine, located in Houston's Bellaire neighborhood. 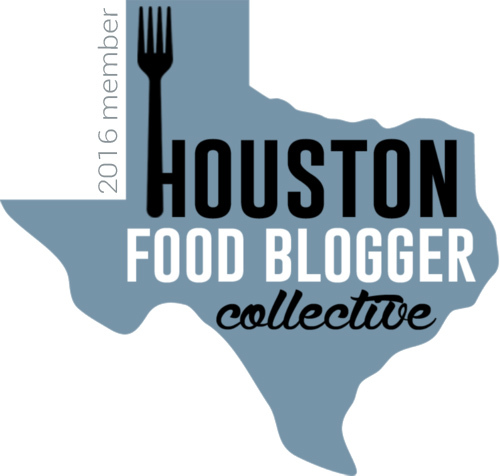 My friend Isabel and I recently decided to have a "business dinner" there (I'm using air quotes because it was 20% Houston Food Blogger Collective business and 80% friend time), after hearing rave reviews about the restaurant from our friend Julie. 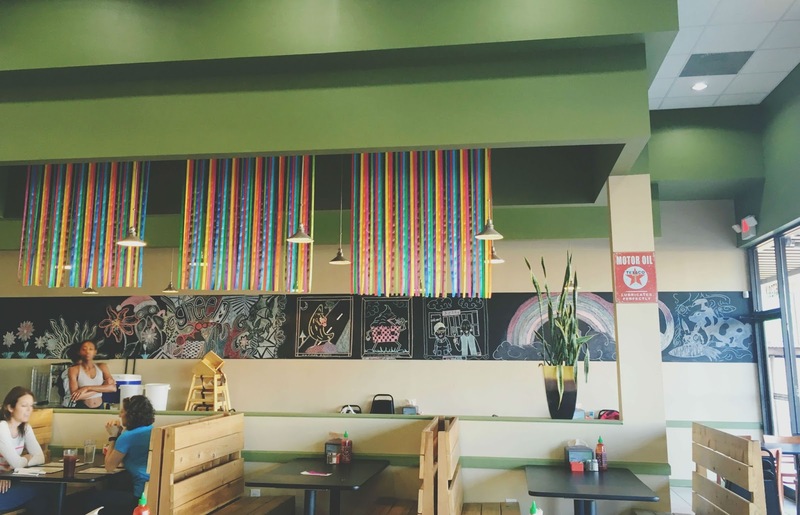 I had always wanted to visit their location in San Antonio's Pearl District, so I was stoked when I found out they also had a restaurant here in Houston! Isabel and I decided to go splitzies and share three different items. For our first round of food, we ordered the cauliflower hot wings. It never ceases to amaze me how restaurants are constantly able to make gorgeous, saucy, chicken like appetizers out of cauliflower. Green Vegetarian Cuisine's fell right in line and were absolutely fantastic! The cauliflower bites were coated in a delicate layer of breading, fried, and swimming in a tangy, spicy buffalo sauce. The outer layer was soft, with a subtle crunch, and the natural textures of the cauliflower shone really through. 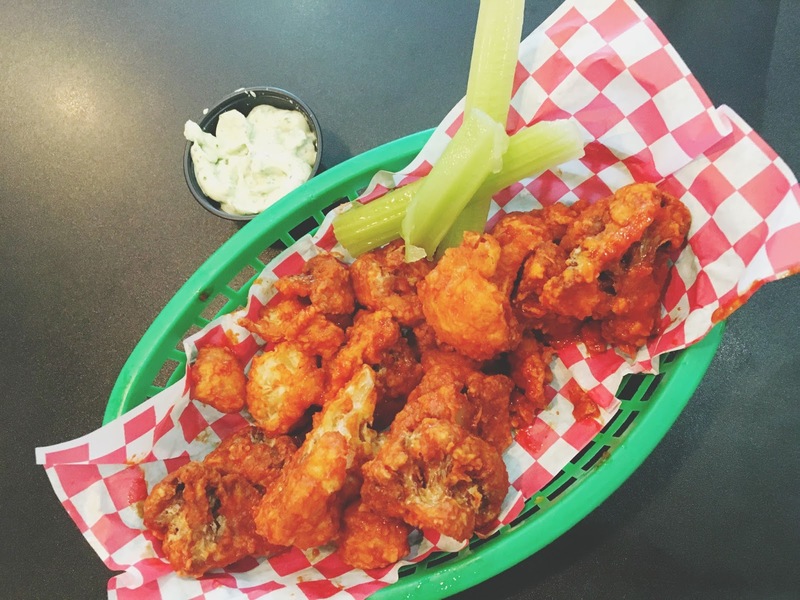 Served with a side of celery sticks and poblano ranch, the "wings" were great on their own or with the creamy dip. We could not get enough of these! For our next round of food, we ordered the protein bowl. 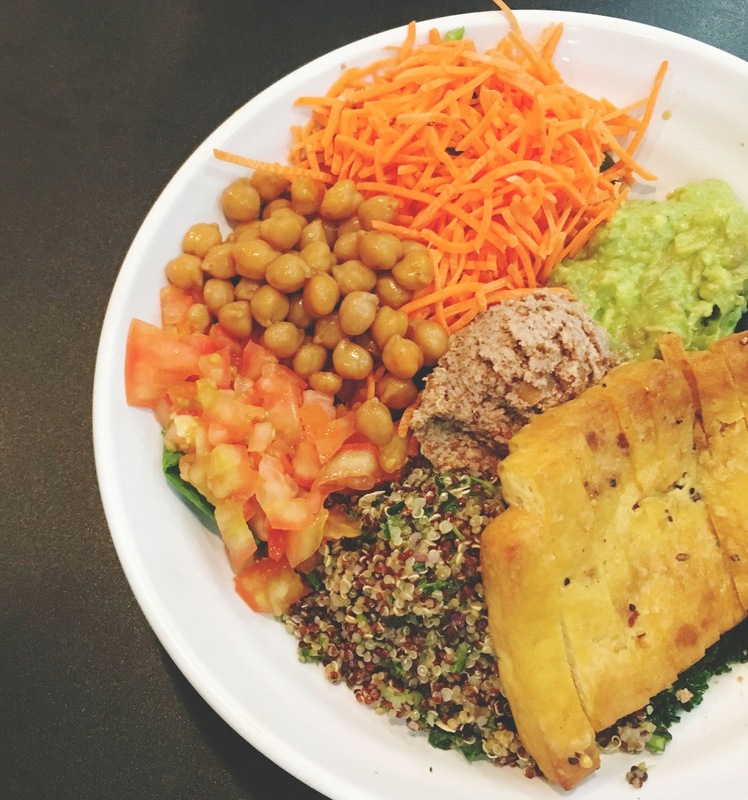 This rainbow-in-a-bowl contained kale salad, fresh spinach, chickpeas, quinoa tabouli, flaxseed, pecan hummus, carrots, tomatoes, avocado, and roasted tofu. This dish was as nourishing, filling, and earthy as you can get! Isabel and I were in awe of the pecan hummus which looked - and tasted a bit - like tuna salad. Combined with the mashed avocado, it swirled into the bowl to create an underlying softness to some of the more hearty ingredients, such as the quinoa and tofu. The tofu itself was firm, crisped, and wonderfully golden. The tomatoes added a nice dose of citrus and freshness, and everything went together superbly. I wanted a healthy dish, and by gollee, I got it! 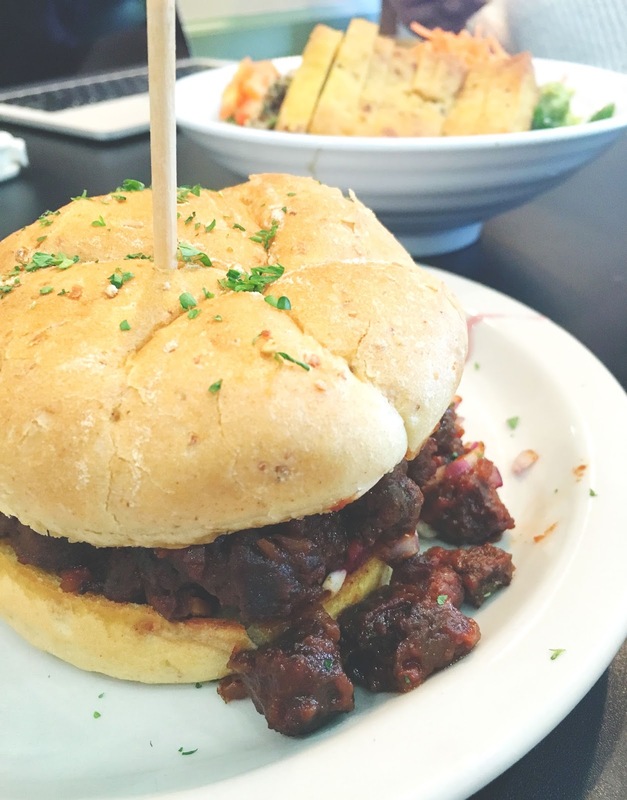 Isabel and I were super intrigued about the chopped barbecue sandwich on the restaurant's menu, so we decided to order that for our final round of food. OH MY. Y'all, I hadn't eaten a barbecue sandwich since before I became a vegetarian, which was well over two years ago. And what a glorious delight this was! Soy protein pieces were marinated in a thick, sweet, hearty, barbecue sauce, and slopped onto a fluffy whole wheat bun. The sandwich was comforting, soul-warming, and ridiculously tasty. Isabel and I were completely flabbergasted by the awesomeness of this sammy! She and I were torn between this or the cauliflower being our favorite dish of the evening. 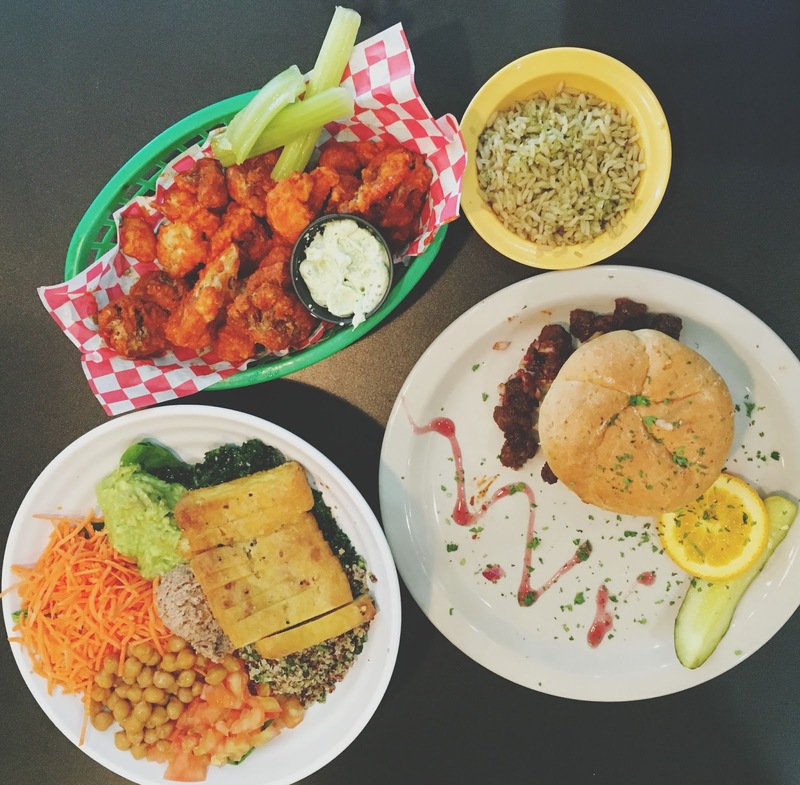 Green Vegetarian Cuisine is a great choice for a Houston restaurant that offers inexpensive, insanely delicious, healthy food that still seems like a real treat. Even non-vegetarians (like my friend Isabel) will fall in love with it. If you're used to sticking inside the loop, this restaurant is a beyond fantastic reason to venture out!